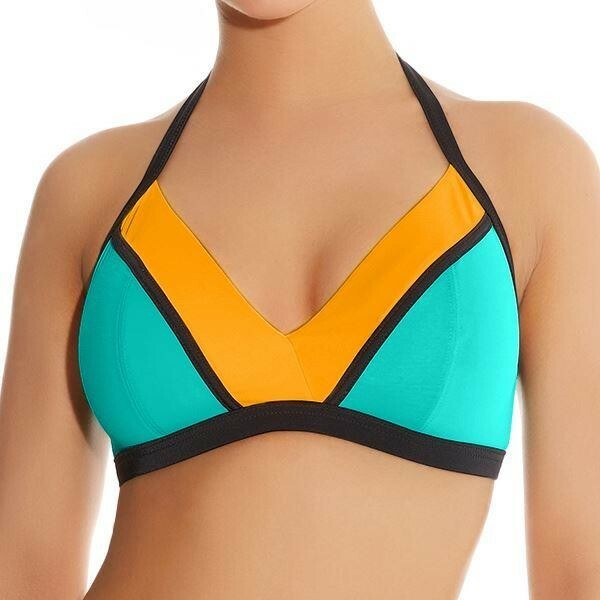 Freya Swimwear Bondi soft cup triangle bikini top. It is non wired, with padded cups and a vibrant block colour design. The bikini top has a halter neck tie fastening and a snap clasp fastening at the back.